Everyone loves to celebrate a birthday, so on August 5, have a Happy Natal Day — in honor of the Canadian province of Nova Scotia. A holiday that began in 1895, Natal Day was organized as a way to celebrate Nova Scotia’s history. Natal, in case you’re wondering, is from the Latin word for “birth.” Festivities for this holiday typically last the whole weekend before Natal Day (which falls on a Monday), so get ready to celebrate, attend a lot of outdoor parties and eat a ton of cake. Hello? It’s a birthday after all. 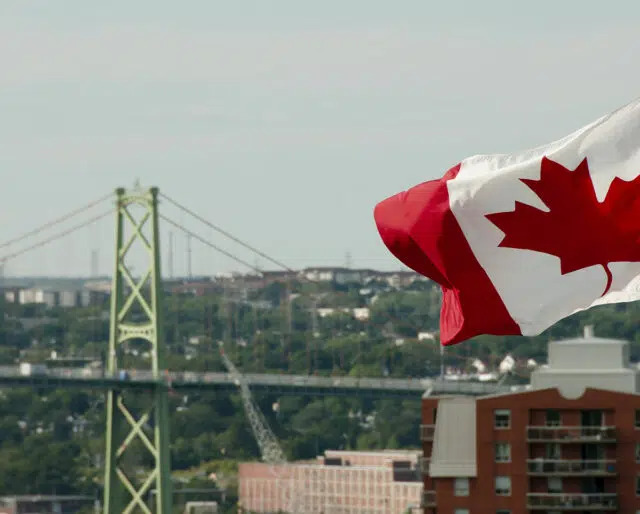 The Canadian Confederation includes Nova Scotia as a founding province — it is one of four, along with Ontario, Quebec and New Brunswick, if you're keeping score. Thanks to Joseph Howe, a Canadian writer and politician, Nova Scotia is able to maintain a responsible government, making it a self-governing province. The Seven Years’ War, also known as the French and Indian War, is the last war to take place in Nova Scotia — thankfully. The King Williams War, which lasted from 1688-1697, is the first of six wars to take place in Nova Scotia. The province is given the name Nova Scotia, which means “New Scotland” in Latin. With so many events going on that weekend, there's plenty of fun to be had outdoors. Check out the Halifax-Dartmouth Natal Day Festival — featuring a parade, family activities, live performances, fireworks, and more. Doing a run on Natal Day is a pretty popular option — it’s in the summer, so the weather is warm. Check out the Dartmouth Natal Day Road Race — a perfect choice for runners and walkers — so the whole fam can join in on the fun. Between all the festivals, barbecues and parades on Natal day (and the days before and after it) you can count on consuming a lot of delicious foods — so bring your appetite. Plus, because Natal Day is a birthday celebration, you can always count on there being lots (and lots) of cake. Prior to Hiroshima, the Halifax Explosion of 1917 was the world’s largest man-made explosion. The Halifax Citadel National Historic Site is the most-visited National Historic Site in Canada. Halifax is actually closer to Dublin, Ireland that it is to Victoria, British Columbia. Although the largest harbor of this kind is in Sydney, Australia, the one located in Halifax is next on the list. Like most places, Halifax has a famous landmark — the Old Town Clock — ticking since 1803. Originally, Natal Day was meant to celebrate the arrival of the railway line in Halifax, but due to delays in construction, the reason had to change. Because of this, Natal Day turned into celebrating the history of Halifax, as well as the areas around it. Despite the fact that it’s a statutory holiday, a lot of lucky Nova Scotians get paid time off for the day. And who doesn’t love that? With plenty of outdoor events hosted all over Halifax and Dartmouth all weekend long, Natal Day is the perfect time to take advantage of having some fun in the summer sun.